Scitech Park has created Technology Business Incubator at SWPH & RC, Wanawadi for Differently Abled persons which has modern training infrastructure. With a intention to impart skill training in various technology sectors and provide them an opportunities of livelihood, self employment and better standing the society. Several skill training programs have been organized for the students of SWPH as mentioned here. Training Program on Solar LED Lamp Assembly, Repair and Maintenance. 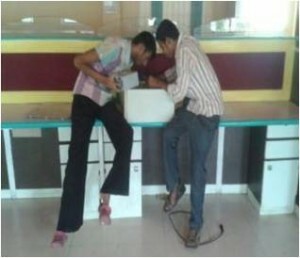 There are several LED lamps available in market, but there is shortage of skilled manpower to repair and maintain these lamps. 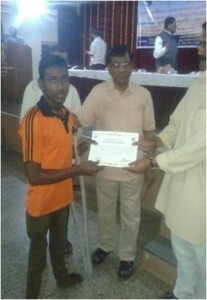 In view of this opportunity a training program was designed specifically for Differently Abled Persons. The training module covers not only repair maintenance but also imparts skills in assembly of new lamps. A skill training in the sector Renewable Energy was imparted to 19 candidates from SWPH & RC which comprised of 10 boys and 9 girls along with these candidates three instructors also participated in the training activity. The training included theory as well as practical with hands on experience of LED Lamps. 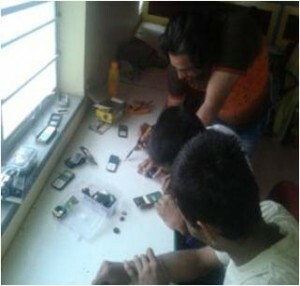 A skill training program was arranged in the New Emerging Technologies like Computer and Mobile. 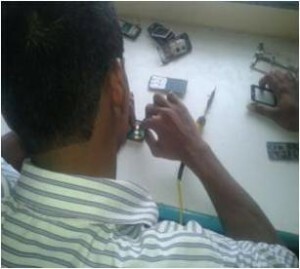 The program focused on assembly, repair and maintenance of Desktop Computers and repair and maintenance of Mobile Handsets. the program was scheduled for one month. Two batches of 20 students each (total 40 students) from SWPH & RC, who had appeared for SSC board exam participated in the training. The training program designed is combination of hard and soft skills to ensure that skill acquisition coupled with soft skill input will raise the confidence level of the participant thereby leading to more success rate. 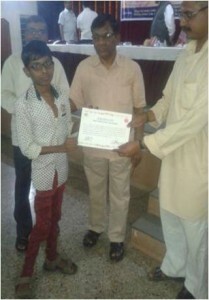 The program ensured that each student gets sufficient hands on experience thereby enabling him launch self employment activity or get employed with enhanced skills.